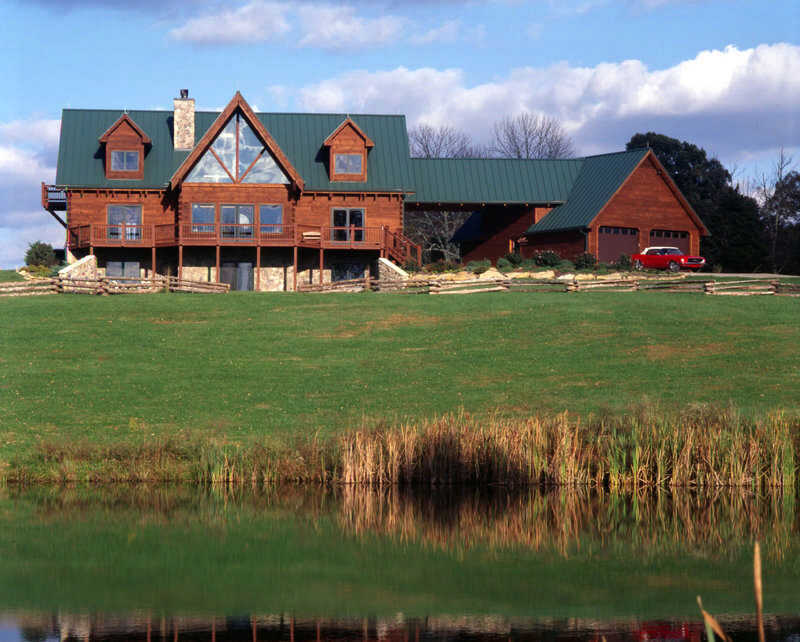 Since 1979, Honest Abe Log Homes has designed, manufactured and built thousands of custom log and timber frame homes for shipment throughout the United States and the world. Address: 9995 Clay County Hwy. Plans are created in-house from customer’s concepts or may be selected from dozens of existing plans (www.honestabe.com/floor-plans) that can be modified to suit a homeowner’s specific desires. A variety of log systems are offered, including D-Logs, round, square, chinked and non-chinked. 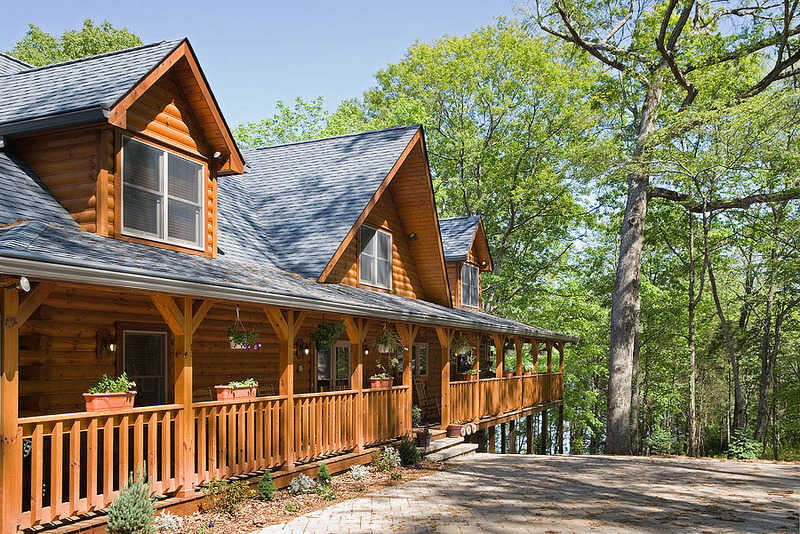 All logs are kiln-dried, TPI graded, stamped and meet or exceed national grading standards. Our Honest Abe in-house Sales Representatives and a nationwide network of Independent Dealers advise and guide customers through every aspect of the home planning, financing and building process. 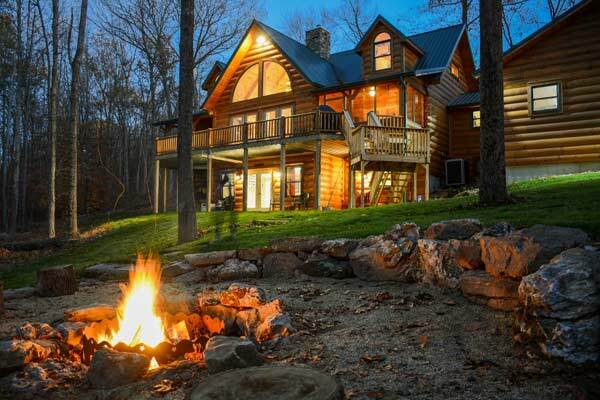 The Honest Value Guarantee assures that Honest Abe will meet or beat the price of any competitor’s comparable log home, log cabin or timber frame home package. 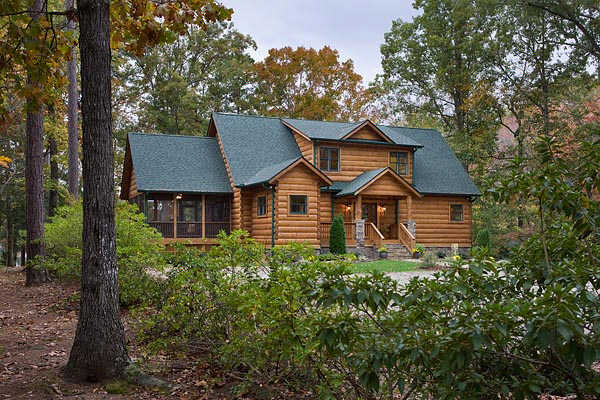 Upon order each custom home is precut, notched and numbered from Eastern white pine using 3-D modeling and computer-driven equipment overseen by a team of experienced craftsmen. 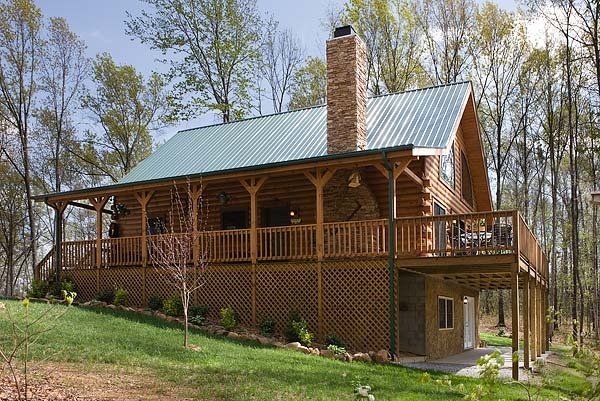 Subfloor, second-story beams, tongue-and-groove, roof system, staircase, porch and deck materials, interior trim, interior doors, interior tongue-and groove and exterior finish are among the items included in a standard package. 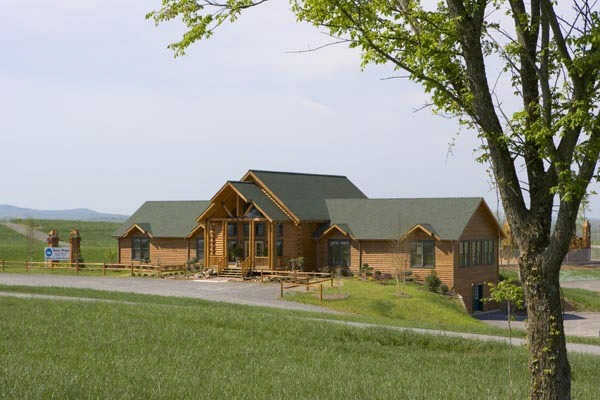 Honest Abe will contract to build the log home to a dry-in stage within certain distances of the national headquarters and will provide assistance with securing multiple options for construction services in other locations across the country. Sales models in Tennessee in the towns of Cookeville, Murfreesboro, Moss and Crossville are open M-Sa. for tours. The mill in Moss may be toured M-F by special arrangement. Four times each year Honest Abe hosts free log raisings in a climate controlled facility at its National Headquarters, after which tours of the manufacturing plant are conducted. Other events like home tours and open houses are held throughout the year. Honest Abe’s website, www.honestabe.com, features links to download at no charge, including Honest Abe Living Magazine, Honest Abe’s Home Plan Catalog and companion Inspiring Homes Planning Guide and many other resources. Registrants to Honest Abe Extra may download and print complimentary detailed floor plans, dimensions, elevation views and renderings, receive educational materials, booklets and tip sheets and gain access to exclusive videos and photos. Call 800-231-3695 to arrange a tour of the mill, register for a log raising, request a free brochure or be introduced to the appropriate regional Sales Representative or Independent Dealer. Types of building code compliances available: Our plans are certified to meet state/local building codes by a licensed engineer or architect. Our logs are graded by an independent inspection agency prior to shipment. We will provide shell erection service for our customers. Beautiful Baths: Designing for Form, Function and Forever Watch now. 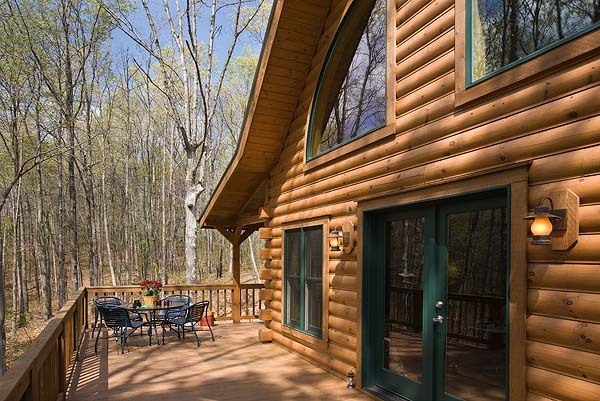 Creating Outdoor Living Spaces for Log and Timber Homes Watch now. Start Planning Your Dream Home Today Watch now. Kitchen Confidential: Expert Tips for Bringing Your Dream Kitchen to Life Watch now. 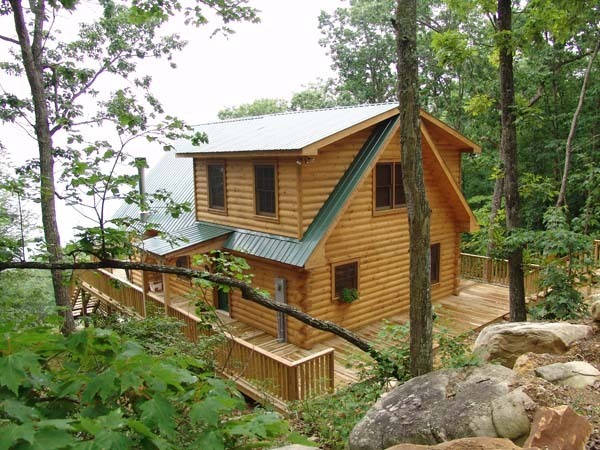 View Floor Plans by Honest Abe Log Homes, Inc.